Overview of Diagnosis, Diet, Trim, And Exercise (DDT+E) | ECIR Group, Inc.
Halfway measures get halfway results. Since 1999, the Equine Cushing's and Insulin Resistance Group has supported caregivers of horses with Pituitary Pars Intermedia Dysfunction (PPID)/Cushing's Disease and Insulin Resistance (IR). At the heart of this group is the diagnosis, diet, trim, and exercise (DDT/E) philosophy. Leave one step out and chances of success are greatly reduced. A good hoof trim will not correct a high-carbohydrate diet for an insulin resistant horse, nor will diet provide the drug treatment necessary for your PPID horse! The first time a new member posts a message to the Group, a large volunteer base is there to guide these members through the DDT/E protocol. The first step in successful management is to correctly identify and address the diagnosis. Diagnosis is done by blood work. Today, the first recognized symptom of an early PPID case is often unexplained Fall laminitis — but laminitis may be driven by hormonal issues other than PPID. The triggers for endocrinopathic laminitis are the drivers of hyperinsulinemia (high insulin). Current known conditions include uncontrolled PPID, inappropriate diet, lyme disease, mare hormonal issues, and iron overload on the tissue level. While diagnostics for IR and PPID are not perfect, the ECIR Group has documented thousands of equines with IR and PPID tests and are readily able to help owners and veterinarians with interpretation of blood results and clinical symptoms to effect a treatment plan for IR and/or PPID horses. Owners will be guided as to which tests are needed for a correct diagnosis, which tests are not recommended, and why. Diet should initially consist of the Emergency Diet for overweight horses and/or horses experiencing laminitis. Caregivers will learn what feeds are safe and how to prepare them to support the horse's condition, as well as which feeds might not be safe and why. Guidance is given for the most common recommendations, including up-to-date sources for pergolide, supplements, safe feeds, and many other products used to assist owners with managing their equine partners. Trimming a foot correctly is an essential part of the pyramid to a sound horse. There is no standard, no one-size-fits-all approach, so each horse is considered individually, with advice given by some of the most experienced hoof experts on the ECIR Group. Caregivers are not guided down one path with regard to hoof care, but are encouraged to develop the skill to work with their local professionals. No debates exist on the ECIR group with regard to barefoot or shod. The ECIR Group does not advocate any one device nor any "hoof guru". The proper trim is one where the hoof capsule correctly conforms to the bones within it. Exercise is critical to support and to reverse the metabolic issues that exist with IR and some PPID horses. Caregivers learn how to assess the horse's capacity to work, what type of work is suited to the horse's physical condition and how often. 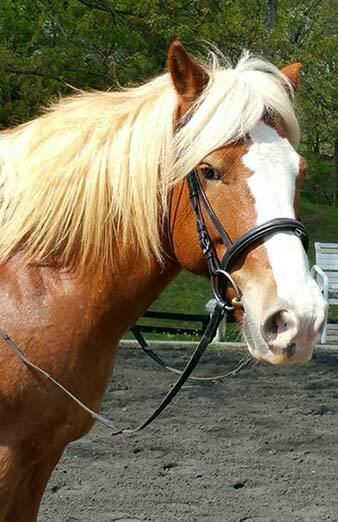 Some horses may only start off at five minutes of hand walking per day, while others may be capable of competing, trail riding, and driving more quickly. What the ECIR Group has learned through documenting more than 1,000 case histories is freely shared amongst all members. 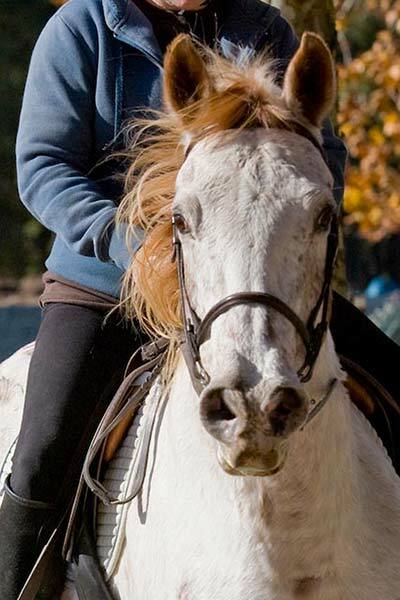 With the advice and experience from thousands of members, Dr. Eleanor M. Kellon, VMD, and other equine professionals, the DDT + E protocol has helped save the lives of and paved the road of recovery for thousands of horses. 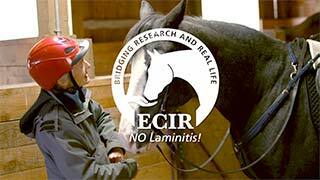 The ECIR Group is not in the business of selling products; the members and volunteers pay it forward with interpretation of the latest research and how it impacts the horses we care for in real life. Through the trial and review of countless products, drug therapies, feeds, supplements, and hoof care available today, caregivers receive the best information to quickly, immediately, and significantly benefit the welfare of the horses in their care.